Located just North of Baileys Harbor off Hwy 57. 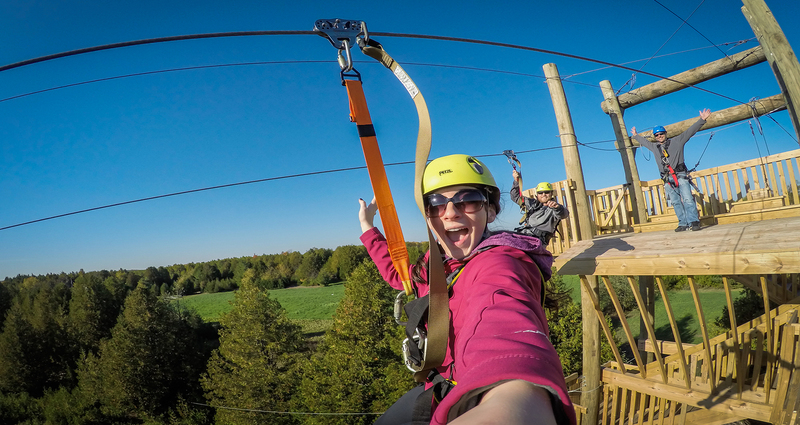 The 20 acre adventure course borders the breathtaking landscape of the Ridges Sanctuary and is a fully guided and ecologically diverse woodland paradise. The zip line adventure begins with panoramic views of Moonlight Bay and Cana Island before you launch yourself into the forest canopy below. In addition enjoy kayaking, paddle boarding, fishing, boating, and snorkeling packages Visit our website and book today!